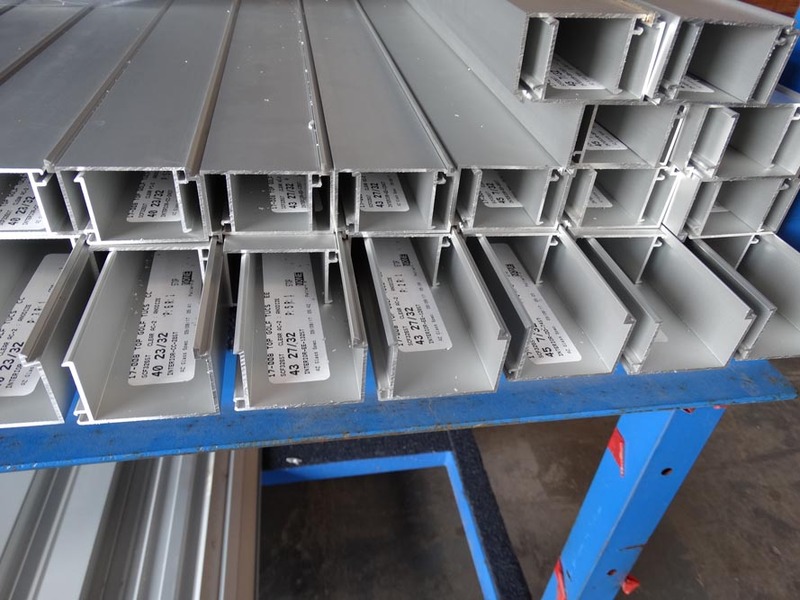 The fabrication process starts with your shop drawings, engineering and choosing the right system/s for the project requirements. 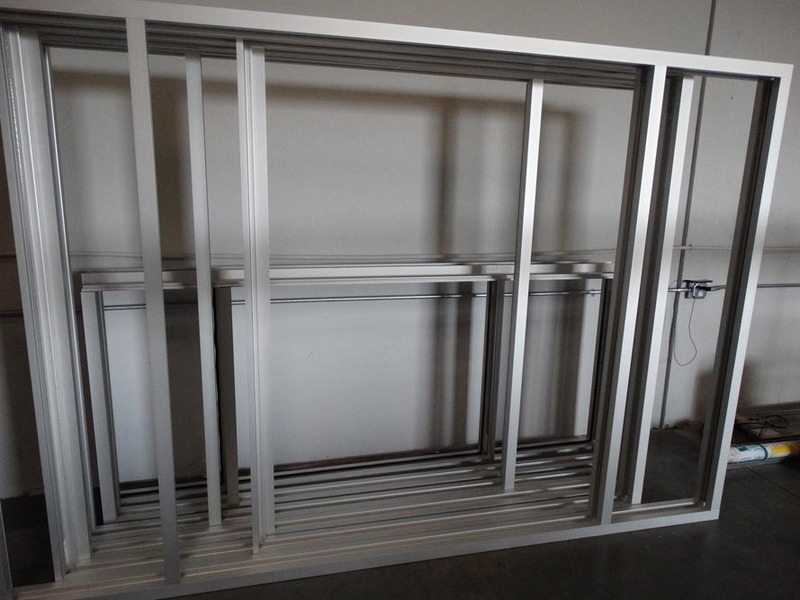 Shop drawings and engineering are also available at Arizona Glass Specialists. 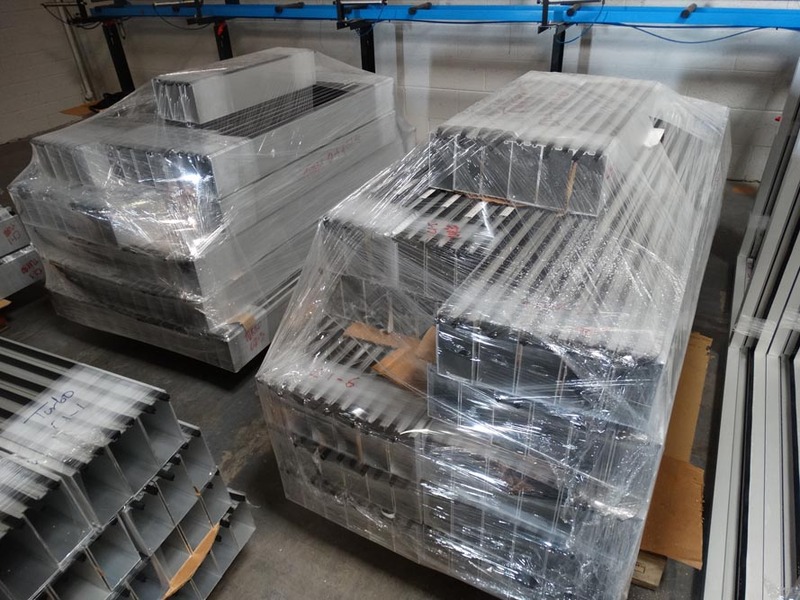 Send us your aluminum systems or have us procure from any of our national suppliers array of unitized and or stick-built systems from suppliers such as Kawneer, US Aluminum, Efco, Arcadia, Old Castle . 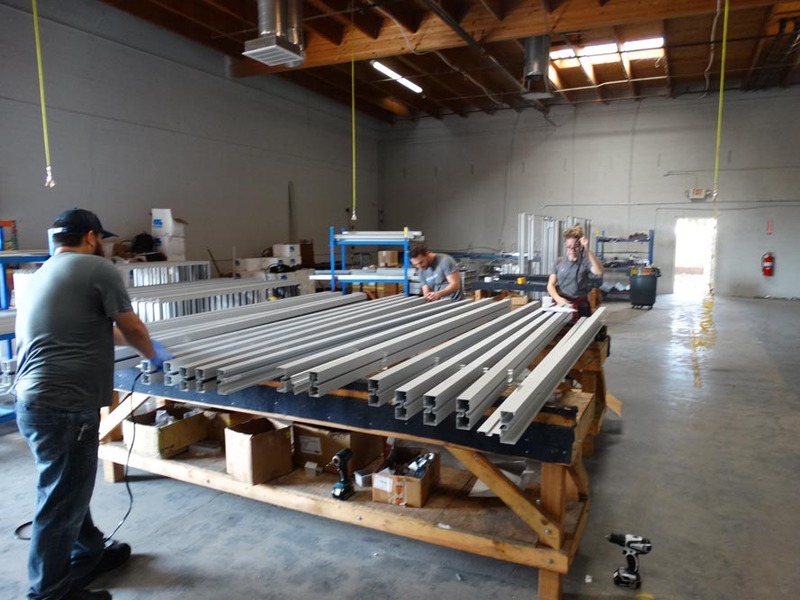 Regardless of the choice of aluminum system, the option is yours to supply the glass or have Arizona Glass Specialists supply a turn-key system that includes glass. 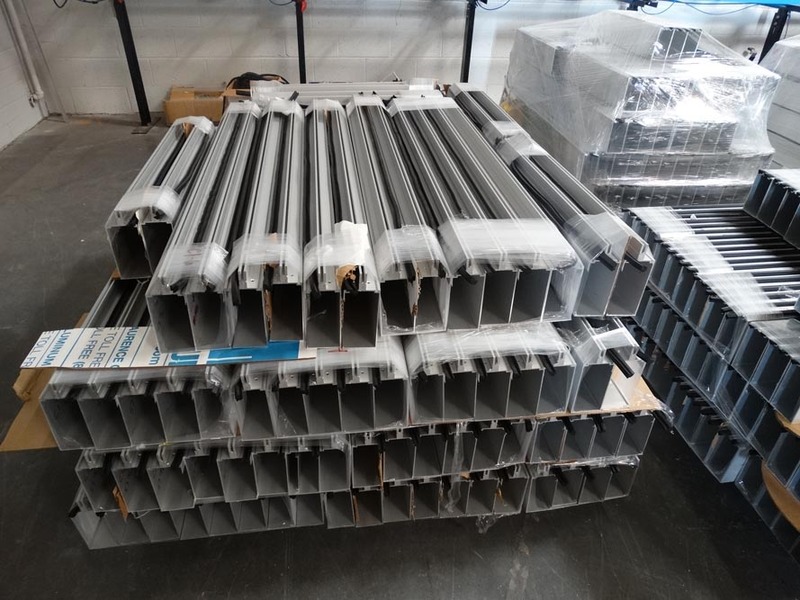 Arizona Glass Specialists most often supplies the ancillary materials included in the fabrication of curtain wall panels including but not limited to caulk, fasteners, insulation, back pans, ACM, bunking materials, etc. 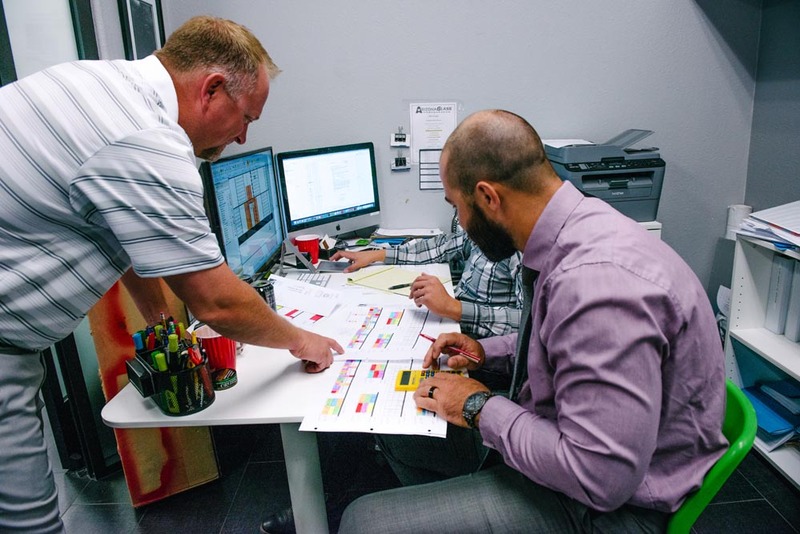 From your shop drawings, the Arizona Glass Specialists drafting team or CAD Department creates fabrication drawings for our machining programmers. 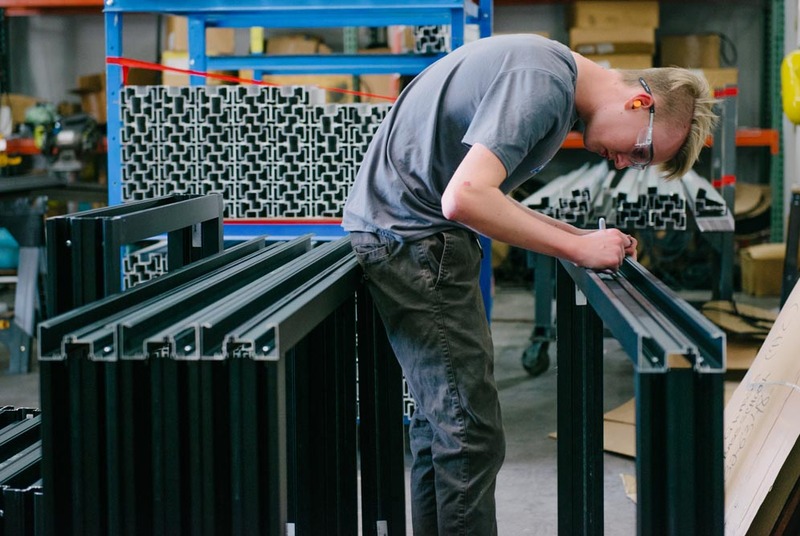 Once programed, your project enters our state-of-the-art machining facility where we saw, drill, cut and notch stock lengths of materials, readying the system for assembly. 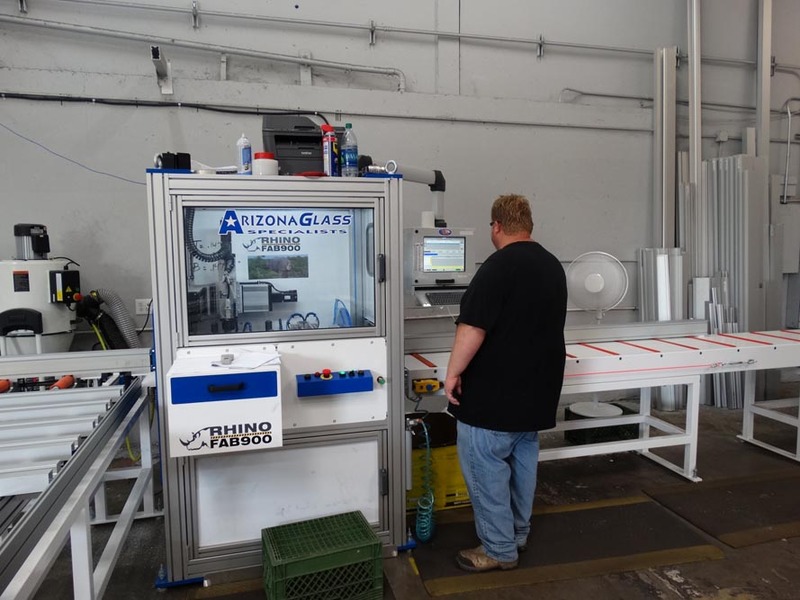 At Arizona Glass Specialists, schedule is just as important as quality control. 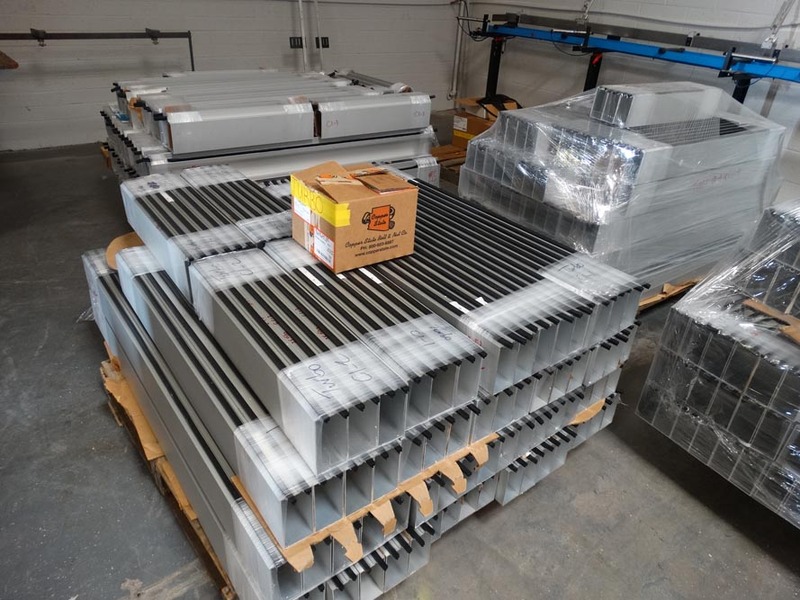 To insure a consistent flow and timely delivery of products to your installation crews, each station is timed and staff is adjusted so that panels/frames flow through the factory at a consistent pace required to meet the project schedule which we will provide you upon accepting a project. 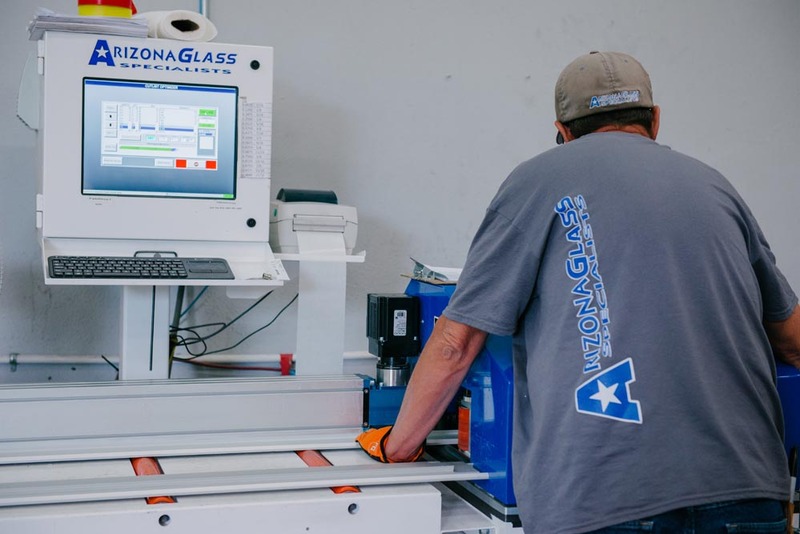 At Arizona Glass Specialists, our experience and knowledge is always at work for you and your project. A quality project delivered timely is always the goal. 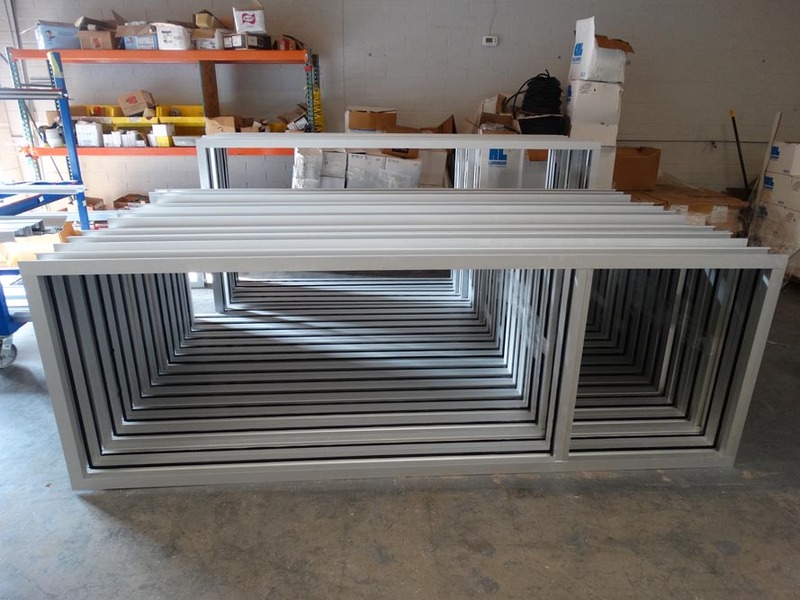 Our reputation and re-peat business is paramount and travels with each and every panel / frame out to your project. We offer delivery to these areas: Arizona, Southern California, Las Vegas. All other areas we will ship FOB. Click outside the video to close.